Rick Ector Supports Arming the Homeless! 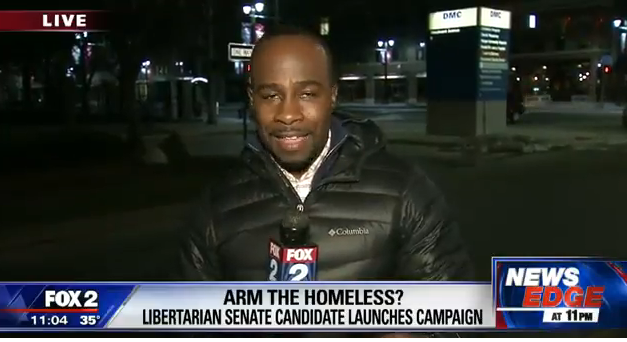 Locally, a Libertarian candidate for the US Senate - Brian Ellison - was covered in the media regarding his views about arming the homeless. Fox2 contacted me for my opinion. 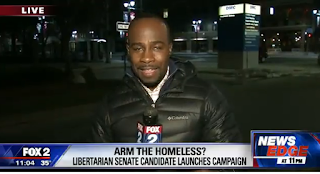 In a text message that I sent to Randy Wimbley - Fox2 Reporter, I wrote: "Homeless people have a right to keep and bear arms. Practicing that right is complicated by their homelessness. I would support arming AND getting them housing." For the record and clarification, my comment about housing was not intended as a co-requisite for owning and bearing a firearm. The Second Amendment applies to the homeless.